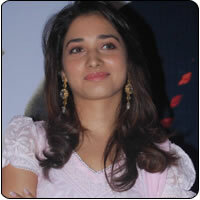 Tamannah, during Paiyya’s press meet, said that she cannot comment on actress Ranjitha, as it is her personal affair. The actress, however, pointed out that all the actresses should not be seen in bad light because of stray incidents like this. Awaiting the release of Paiyya shortly, Tamannah is indeed excited. She pairs up with Karthi in this film. The actress, who had an opportunity to star with Karthi’s brother Suriya in Ayan, says that both the actors are good co-stars.